Welcome home to 17523 Meadow Bottom Road in the south Charlotte / Ballantyne Area’s desirable Ardrey neighborhood! Front porch living at its finest and located just steps from the clubhouse, pool, and community parks. This home has a wonderful layout for those seeking a first floor master suite & laundry plus 2 additional bedrooms on the lower level - perfect for owners and guests who need or prefer first level access! The second level features a large bedroom, full bath and a bonus room / den with lovely built ins. 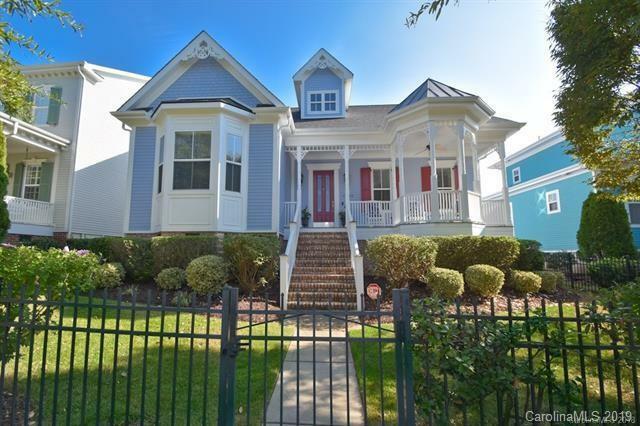 You’ll love the home’s open floor plan, high ceilings, beautiful hardwoods, crown molding, screened porch, fenced yard, attached garage, spacious kitchen with formal dining and quality finishes throughout. Great south Charlotte location near Ballantyne, Ardrey, Marvin, and Waxhaw; convenient to shopping, dining, and Interstate access. Freshly painted prior to listing and beautifully maintained. This home shows like a dream - and could very well be the answer to yours!